The TPRG is based in the University of Reading’s School of Archaeology, Geography and Environmental Science (SAGES), but has members from several departments across the university, reflecting the interdisciplinarity of our research. To learn more about a researcher and their background, please click on their name to access their TPRG profile or follow the links to their departmental webpage. Frank is a Professor in Tropical Palaeoecology at the Department of Geography and Environmental Science. He heads up the TPRG and is the lead supervisor for Heather, Richard, Oli and James. Frank’s departmental webpage is here. Heather is studying the long term impacts of drought on the tropical dry forests of Chiquitania, on the Bolivia-Brazil border, to help predict how these forests may respond to future climate change-induced droughts in the region. Richard’s project aims to improve our understanding of the long term impact of a drier climate upon the vegetation of tropical South America. His multidisciplinary approach involves looking into the past, to see how vegetation in this region responded to a drier climate during the mid-Holocene (ca. 6,000 years ago). This involves synthesising existing palaeo-data, collecting new palaeo-data, and data-model intercomparisons. Oli is studying how indigenous people and past climate change helped shape southern Brazil’s Araucaria forests, and how they will likely respond to further climate change in the future. James’s project uses a combination of phytoliths, charcoal and carbon isotope analysis to assess the long-term stand-scale dynamics of ecotonal forests in Bolivia. Josie is studying the effect of past human activity and climate change on the sustainability of traditional terraced agriculture in the Peruvian Andes during the late-Holocene, and assessing the implications of this for food security now and in the future. Dan’s project aims to integrate isotope and palaeoecological data, with quantitative modelling to determine the impact of pre-Columbian climate and environmental change, on land use and human occupation for the Peruvian Andes. Joy is an Associate Professor in Palaeoclimatology at the Department of Meteorology, and co-supervises Richard and Dan. Her departmental webpage is here. Shovon is a Lecturer in Remote Sensing in Ecosystem Sciences at the Department of Geography and Environmental Science, and co-supervises Richard, Heather and James. His departmental webpage is here. 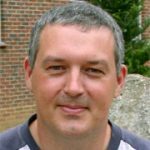 Richard is a Lecturer in Ecology and Evolutionary Biology at the School of Biological Sciences, and co-supervises Oli. His departmental webpage is here. Stuart is an Associate Professor in Isotope Geochemistry at the Department of Archaeology. He is Dan’s lead supervisor and co-supervises James. His departmental webpage is here. 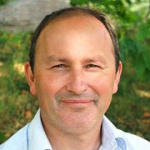 Nick is the Head of the School of Archaeology, Geography and Environmental Science. 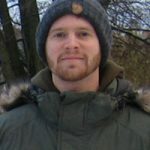 He researches Holocene environmental change and human activities in Peru and Europe, and is Josie’s lead supervisor and one of Dan’s co-supervisors. His departmental webpage is here. Maca was a Postdoctoral Research Assistant in the Department of Geography and Environmental Science, joining in 2014. She studied how southern Brazil’s Araucaria forests responded to past climate change and pre-Columbian human activity, co-supervising Oli and Heather. Maca left in 2017 to take up a position with the Earthwatch Institute, but remains a visiting researcher in the TPRG. John was a Postdoctoral Research Assistant in the Department of Geography and Environmental Science, joining in 2014. He studied the effects of pre-Columbian humans and past climate change on the forests of southwestern Amazonia, especially around the geoglyphs of Bolivia. He left in 2016 to become an associate editor of Nature Human Behaviour.